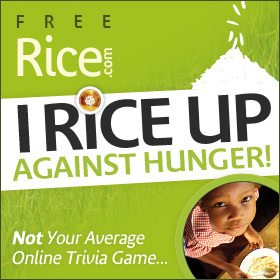 I might as well write this post and publish it before I delay any further. The first time that I experienced yoga was back in 2012 (and a little earlier) when I would go with my friend Marilyn to hot yoga. I remember how hot and intense those sessions were and one time when I went to yoga with my hair still a little damp from washing it that morning, I actually came out of the hot yoga class with my hair so wet that I could actually squeeze out water from my ponytail. It was just that hot! I then signed up for an introductory class with my friend Angel where we paid $45 for a month of unlimited yoga. We stuck with it and went together to many sessions so that it was well worth the money. I remember not enjoying it too much back at the time, and now looking back, I actually know why. Fast forward to today where I’ve now completed two yoga classes courtesy of an amazing deal that I saw on Groupon a few months ago. The deal was for either a month of unlimited yoga or a 10-class punch class at Moksha Yoga Markham for just $33 (there was another special discount applied to it)! Even though I wasn’t very fond of yoga back when I started it, what made me want to get back into it again? Since four years ago when I did the yoga classes until now, I’ve been a little more active in terms of physical activity with the peak of it happening in 2013-2014 when I started doing weekly Zumba classes, experimenting with pole dance, 5 & 10 K runs, and various other exercise classes (these are all blogged actually). Thus, having done a little more physical activity since my early yoga days, I was gradually a little more flexible and “in shape” than I had been before. The reason why I didn’t like yoga very much before was that I wasn’t very good at it and I wasn’t willing to try to improve either. However, now that there are certain stresses in life that I realize are best to handle with breathing exercises in a calm environment, that’s what made me want to do yoga again. Thus, this Groupon deal came at a great time and after two classes, I realized that it wasn’t as dreadful as when I first started. My limbs are more flexible than before because the weekly Zumba classes actually incorporate a lot of stretching and flexibility that I didn’t realize helped my posture and ability to stretch (I used to not be able to reach my toes, but with numerous Zumba classes under my belt, I am able to reach the floor and more…). 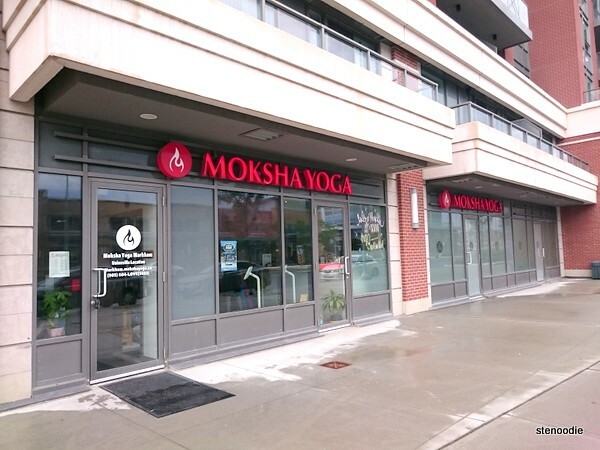 For my first class of back-to-yoga, I actually went back to the same Moksha Yoga Markham studio that I went to before for my month of unlimited classes. What had changed was the signage was in a blue sign instead of the maroon colour that I thought was really classy-looking. However, it was the same company as I was able to log into the same account I had back in 2012 and all of my previous details were still there! I was actually really impressed with that. The studio itself didn’t really change. The change room and yoga room were familiar to me. However, I did notice that with the passing of time, the studio had aged. The wooden parts in the change room and even the washroom were dull in colour and it was like walking into an old familiar home which has aged with use. I realized that you could exchange your car keys at the reception desk for a key that you could use to lock up your valuables in a series of cubbyholes that they had. I don’t think they was here before, or maybe I just never noticed it. The class ended up to be a karma class and was taught by Brianna. There were only about eight people in the class and was a very calm and slow class. I was familiar with some of the poses but not all. It was a great class where I practiced my breathing though, which was what I really aimed to get out of these yoga sessions. 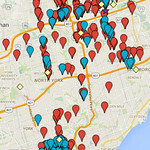 For my second class, I went to the Markham studio located at Birchmount Road. This studio is a newer one (I actually intended going on to this one for my first visit, but after running late and not sure about the parking here, I drove to the Highway 7 location). It was a coincidence that on my first visit, I happened to chat with a newcomer to the Highway 7 location and she informed me about the parking at the Birchmount location. That’s how for this second class, I knew to park at the large parking lot next to Five Guys Burgers and Fries and then walk over to the studio (that I didn’t quite spot on my first visit). The building is located on the ground level next to many other shops. You can either park on the street (limited availability) or in the large lot like I did. This location definitely was much newer than the Highway 7 one and larger too. They also have small safes that you can put your valuables in. It is a simple dial where you input four numbers to secure your stuff. The yoga room was much larger and brighter than the one at Highway 7. One thing I really liked was how all of the yoga areas were marked in black tape on where you should position your mat. I remember back then they didn’t have that and sometimes people would be crowding over to your personal space too much. This was a Moksha Flow 60 class taught by Rima. There were a lot of people in this class. I chose the back as usual since I was more comfortable there — and because I was a newbie still. This class was hot! Even when I walked into the yoga room, I could sense the heat. Somehow, I had forgotten to bring my towel into the room with me and during the intense session, it was so hot and I sweat so much that I actually dripped sweat onto my mat and the block. A towel would have helped a lot to soak up my sweat as well as keep my hands and feet grip the mat better. This was a much more challenging class than the other one, but it was challenging in a good way because then there’s more to learn and improve on. In comparison, we didn’t do the breathing exercises at the end like in the other class. I was so looking forward to doing the poses on the back near the end because those are less difficult. At one point, there was so much sweat on my face that I felt like I had just washed my face with water from a tap — my eyes were also stinging a bit from the sweat. I tried Yin yoga, the more passive form of yoga, tonight for the first time and I absolutely loved it. It was an hour and 15 minutes taught by Lyn (I got to meet her when I did the meditation class for the first time on June 25 and she is very good) at the Highway 7 location. Yin yoga only focuses on a few asanas during the entire practice and is very slow, unlike the more active “yang” form. It is very relaxing I found it very relaxing and really helped me to calm down while lengthening and improving my flexibility further. I just really enjoyed it. I did it after a 30-minute session of meditation too in the same room. My 10-class punch card is almost finished. I’m actually contemplating whether I should purchase a yearly membership… I quite enjoy yoga even though it is tough. But I want to improve myself and it helps me to relax. Yoga is expensive though at Moksha and I’m not disciplined enough to do it at home either with YouTube videos. Hmm, what to do. 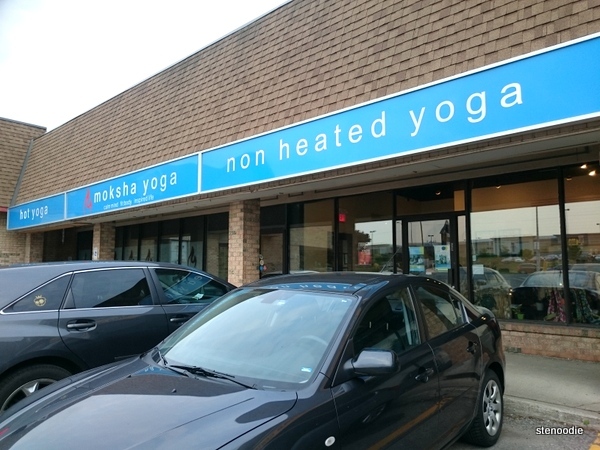 This entry was posted in Fitness and tagged # LMN 8200 Birchmount Rd Markham, 3&4 - 5051 Hwy 7 E Markham, @MokshaYogaMarkm twitter, experience doing yoga, heat in the yoga rooms, hot yoga, Markham, Moksha Yoga Markham, Moksha Yoga Markham Birchmount, Moksha Yoga Markham Birchmount location, Moksha Yoga Markham Highway 7 location, places to go for hot yoga in Markham, returning yogi, Where to do yoga in Markham, yoga, yoga in Markham. Bookmark the permalink.